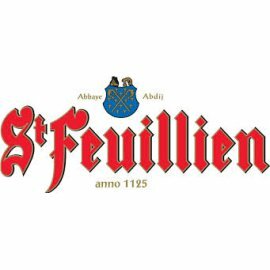 Since 1873, the Friart family has been brewing various beers, among others, the St-Feuillien. But the history of this beer goes back even further. In the 7th century, an Irish monk named Feuillien came to the Continent to preach the Gospel. Unfortunately, in 655, while travelling through the charcoal forest, across the territory of what is now the town of Le Roeulx, Feuillien was martyred and beheaded. On the site of his martyrdom, Feuillien’s disciples erected a chapel which, in 1125 became the Abbey of Prémontrés, later on known as the Abbaye St-Feuillien du Roeulx. The Abbey prospered until the upheavals of the French Revolution. During these troubled times, it was condemned by the revolutionaries. For centuries, monks have brewed beer and this tradition has been preserved until this very day. Fourth generation of brewers for the Friart family but still the same passion and know-how.